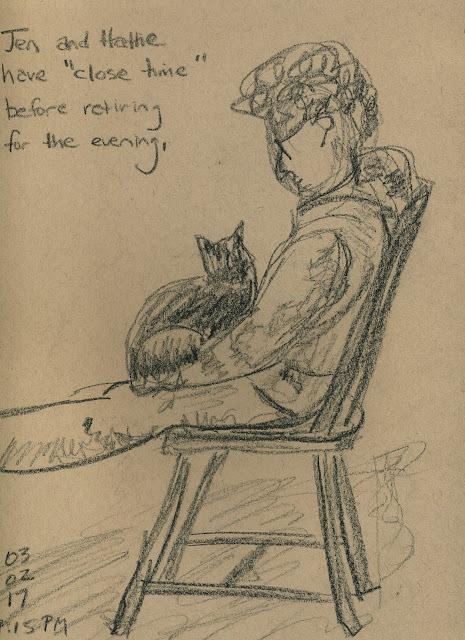 Scribbling With Spirit: Hattie the Cat Enjoys "Close Time"
I am working on finishing up my Strathmore tan toned sketchbook, which I started last fall. My goal was to fill the book using only a china marker--and I am within pages of finishing! 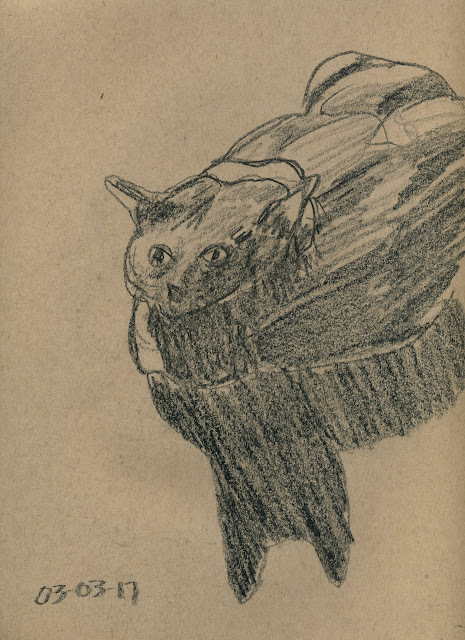 Most of the work in this book has been gestural, but here I did a few more detailed sketches of my cat, Hattie, who will deign to let me draw her if someone else is also present appropriately adoring her. Both of these were done very quickly, under five minutes each. One think I love about the china marker--it goes very quickly. And a second thing--it keeps me from fussing too much because of its blunt tip. When I finish this sketchbook, I may buy another just to keep this practice going!